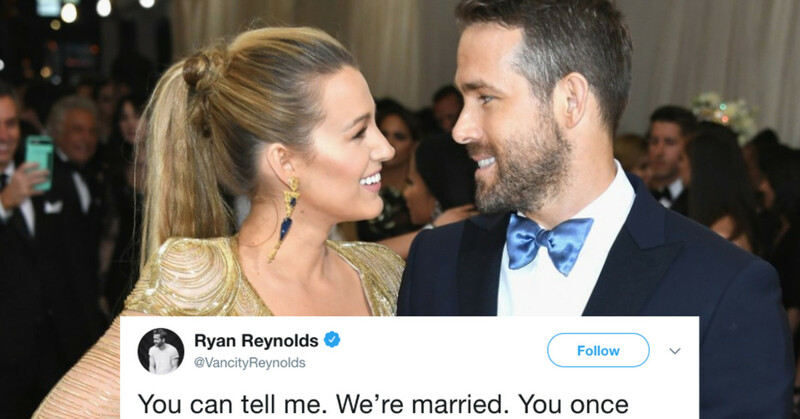 Ryan Reynolds and Blake Lively are that couple who will never stop roasting each other on social media and in public. 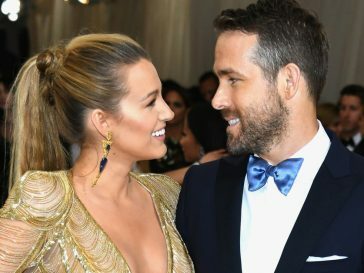 While they usually troll each other about petty little things like photos and their up and coming projects/movies–this time, Blake Lively found a way to bring someone else into the picture. Lively is currently promoting her new film “A Simple Favor, in which she stars alongside Anna Kendrick. In an Instagram post, Lively shared the movie poster for her new film. The caption, of course, was absolutely perfect and very much Blake’s style–trolling her hubby. 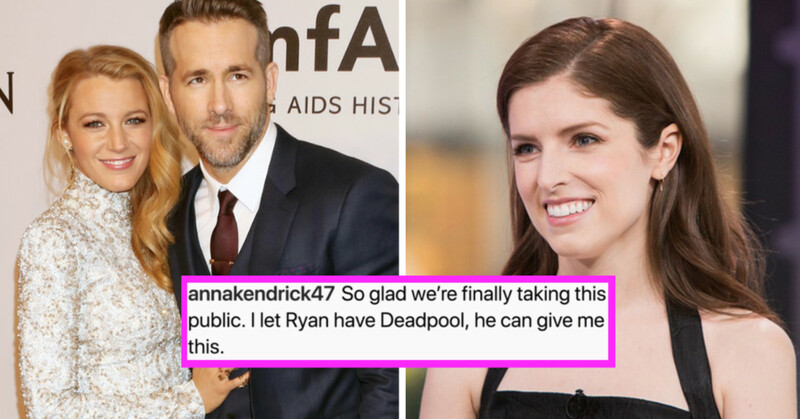 Obviously, Anna Kendrick got in on the fun. People were dying over this love fest going on. Of course, Reynolds answered Lively on Instagram–to fan’s absolute delight. Absolutely amazing. Seriously, how can they not be your favorite couple? Here are 25 reasons they should be. 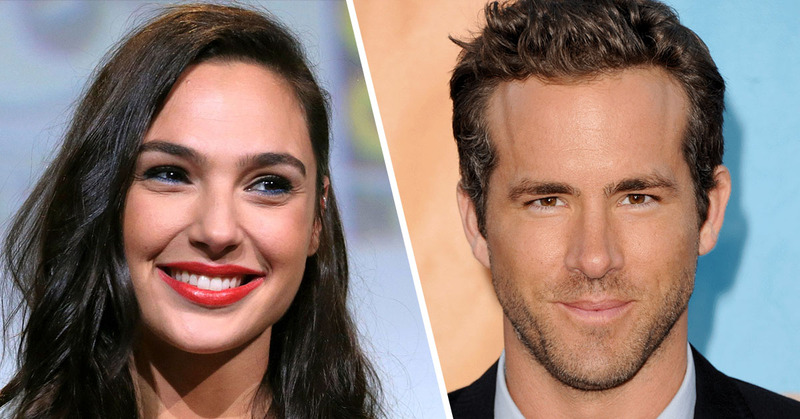 Blake Lively and Ryan Reynolds met in 2010 when they were cast as the leads in Green Lantern. At this time, Blake was dating Gossip Girl co-star Penn Badgley while Ryan was married to Scarlett Johansson. After Blake and Penn broke up and Ryan got divorced, the two went on a double date; Blake was there for another man, and Ryan there for another woman. They’d sit around and try to think of people the other could date. “Oh, who would be good for you?” We’d sit around being like, “Oh jeez, do you know anyone?” And it didn’t click for, I mean, a good year and a half. Like, “Oh hey, wait, hold on. We could date!” says Blake. After they were spotted together in Boston in 2011, sources confirmed they were a couple. They fell in love in Japanese restaurant O Ya in Boston. Blake and Ryan requested a coloring book so they could play Tic-Tac-Toe while on a dinner date in Vancouver. In September 2012, Blake and Ryan held a secret wedding in South Carolina. Featured in their wedding were: an impressive dessert table, a sky lantern release, and a performance by Florence Welch. They say the secret to their successful marriage is that they don’t work at the same time.